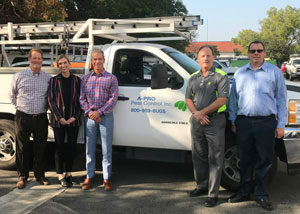 Memphis, Tenn.-based Terminix has purchased A-Pro Pest Control, Campbell, Calif. Brokered by Kemp Anderson Consulting, the terms of the deal were not disclosed. A-Pro is primarily a commercial and multiple-family housing company, with accounts in Silicon Valley and around the world. It was founded in 1985 by high school friends Chuck Payton and Bill Cress. A-Pro has a reputation as a Leadership in Energy and Environmental Design (LEED) and integrated pest management (IPM) service company, specializing in low-impact, environmentally conscious applications. The company boasts a staff of 23 employees.